In January 2018, representatives from industry, unions and HSE came together to launch the new SIMPL (Safety in Manufacturing Plastics and Composites) initiative and its strategy PDF, aimed at improving health and safety standards in the plastics and composites industry. Throughout 2018 to 2021 the SIMPL partnership will be sending information out to the plastics and composites industry at regular intervals on a range of topics that have been highlighted as problem areas for the industry. The new SIMPL strategy supports HSE’s Helping Great Britain Work Well Strategy (HGBWW), HSE’s Go Home Healthy Campaign, the Manufacturing Sector Plan and HSE’s Health Priority Plans targeting musculoskeletal disorders, work-related stress and occupational lung disease. Why work with the plastics industries? Who are the SIMPL partners? What do the trade association action plans look like? Will the SIMPL initiative place any new burdens on industry? What is the SIMPL pledge? According to HSE RIDDOR statistics in 2009-2010(p), the fatal accident rate in plastics was similar to the all industries fatal accident rate. The major injury rate in plastics was higher than the all industry figure and the over 3 day injury rate was significantly higher than the all industries industry rate. All of these injury rates show that in 2009-10 approximately 937 workers in the plastics industries were injured as a result of their work. These statistics along with anecdotal information from industry that health and safety awareness and standards needed to be improved to prevent workers being injured were the main drivers for the partners to take action. This led to industry, Unions and HSE coming together to discuss how to improve health and safety performance in the plastics industry. 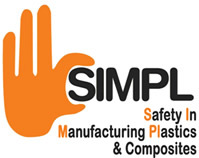 SIMPL stands for ‘safety in manufacturing plastics’. It is a partnership between industry, Unions and HSE and aims to improve health and safety standards in the plastics industry. There are a number of different industry stakeholders involved in the initiative, from trade associations to training organisations. It is a supportive initiative that aims to identify areas for health and safety improvement in industry and to provide help and tools for companies to use to improve these areas. Will the SIMPL initiative place additional demands on industry? No. The SIMPL initiative aims to help companies comply with existing laws in practical ways that are right for their business, while improving health and safety standards for the workforce. The SIMPL pledge gives individual companies the chance to demonstrate their commitment to the initiative. The pledge is a short document signed by a senior representative of the company outlining what the company will do to make improvements to health and safety in their company to help achieve the strategic objectives. Companies that sign the pledge will receive a certificate to display at their premises. Companies who wish to publicise their support for the initiative can indicate this at the bottom of their pledge and their name will then be added to the list of signatories. A draft pledge template has been provided by the partnership to help companies to make their commitment. The draft pledge can be altered and changed to suit the company who is signing the pledge. The partnership asks companies only to sign up to improvements they can make. Once a company has signed the pledge they should then review health and safety in their company and produce an action plan to identify how improvements will be made. Completed pledges can be returned to either BPF, PAFA, Composites UK or HSE at Plastics Group, Manufacturing Sector, Health and Safety Executive, The Lateral, 8 City Walk, Leeds LS11 9AT. At the launch of the SIMPL initiative senior officials of the Trade Associations involved signed their pledge to the initiative. They gave their commitment to help improve health and safety standards in the plastics industry by working together. 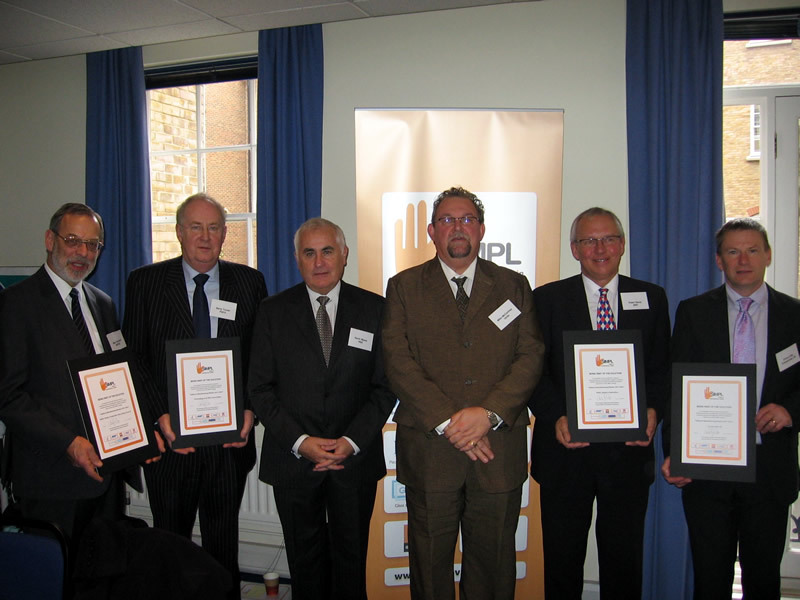 Pictured left are the officials who made this commitment with their certificates. To get involved in the initiative and to make the commitment to improve health and safety standards in your company is easy. The first step is to sign the SIMPL pledge. Once you have pledged your commitment then you should review health and safety within your own company and produce an action plan showing how you are going to improve. If you don’t want to sign the pledge you can still get involved and make the commitment to improve health and safety in your company. By reviewing health and safety in your company and making positive changes and improvements you will still be contributing to industry improvements. Since the launch of the strategy partners of the initiative have been involved in awareness raising and have organised and delivered training sessions to support companies. Behind the scenes new practical tools have been developed for companies to use to improve health and safety in their workplace.